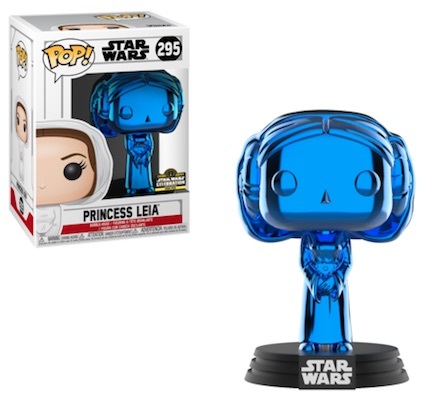 After taking a break in 2018, the biggest convention is the galaxy returns along with the various 2019 Funko Star Wars Celebration exclusives. 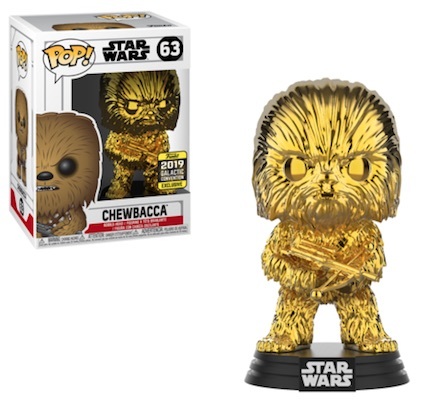 Switching gears, the Funko Pop Star Wars Celebration 2019 figures take a new approach in terms of the convention versions versus the shared versions. 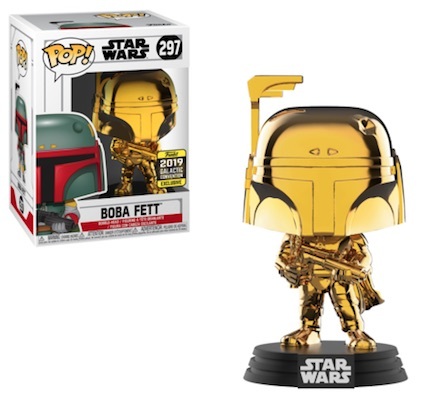 In case you didn't realize, Funko Pop Star Wars is easily one of the largest and most popular vinyl lines and the Galactic convention makes good use of the brand. 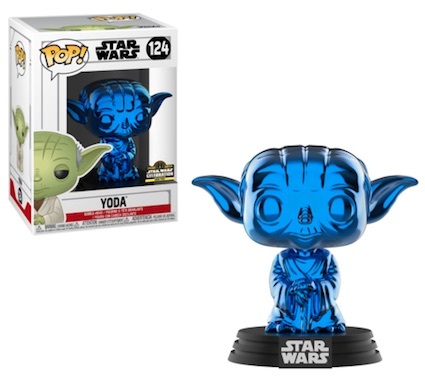 While Funko normally increases the overall selection a few figures at a time, the 2019 Funko Star Wars Celebration exclusives present a large addition at once. Before 2019, the last Star Wars Celebration figures came in 2017. 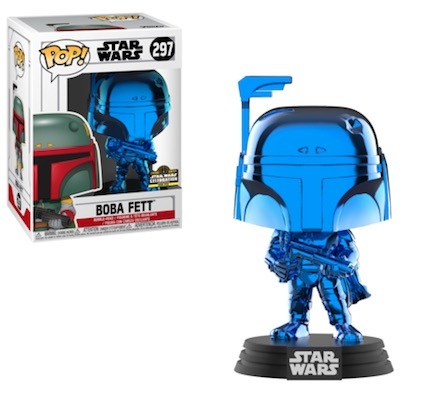 Although most of the cons with exclusive figures, like Emerald City Comic Con, New York Comic Con or San Diego Comic-Con, just change the exclusive sticker on the box, 2019 Star Wars Celebration goes another direction for several subjects. 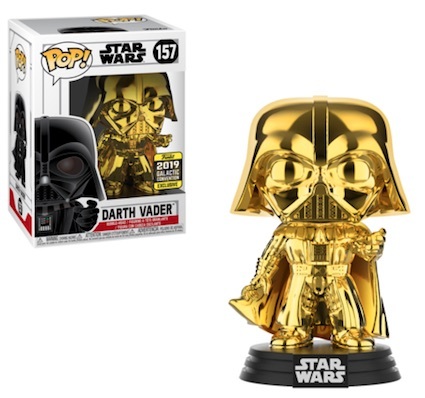 In this case, Funko has put the chrome finish on a few notable Star Wars subjects. The blue variants, limited to 2,500 per subject, are only for the convention and the gold versions are shared with select retailers. 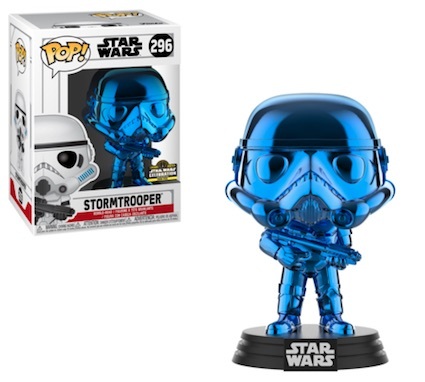 Admittedly, chrome is not the most creative idea, and the concept has already been heavily abused by Funko, but this is interesting since it makes the convention-only blue chrome more special while still allowing all collectors to have a shot at some exclusive gold chrome figures. 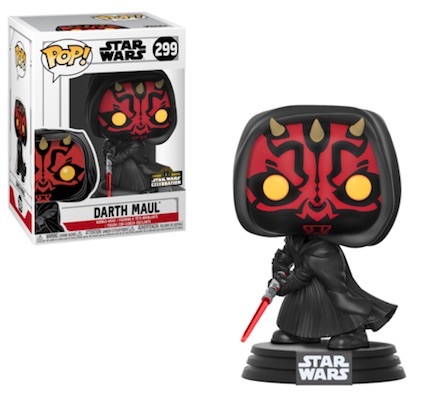 Shop Funko Pop Star Wars Celebration Exclusives on eBay. 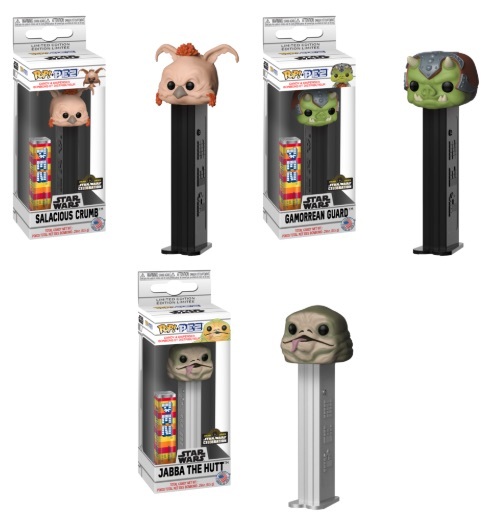 In terms of the actual characters, the chromed choices include new variants for Chewbacca (The Last Jedi), Dagobah Yoda and Darth Vader (Force Grip) from Rogue One. There are also chrome options for Princess Leia, Boba Fett and a Stormtrooper that extend the overall line's numbering. 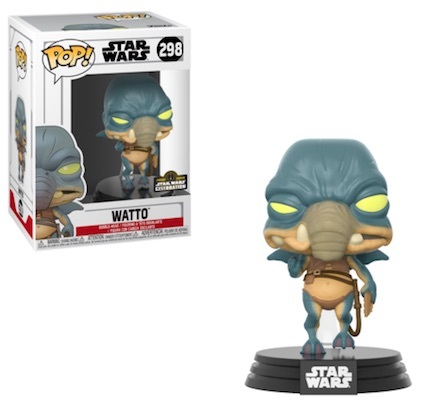 The only other 2019 Funko Star Wars Celebration exclusives in the main Pop Star Wars set include normal vinyls for Watto and Darth Maul. Fans can also find an exclusive trio of Pop! PEZ characters. The shared Pop! figures sell for $15 and the Pop! PEZ goes for $8. 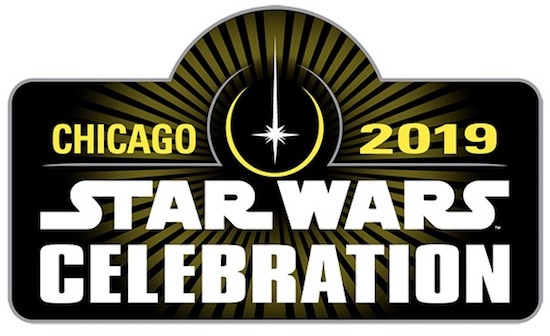 Stretching from April 11 to 15 in Chicago, Star Wars Celebration 2019 is a multi-day Star Wars extravaganza. 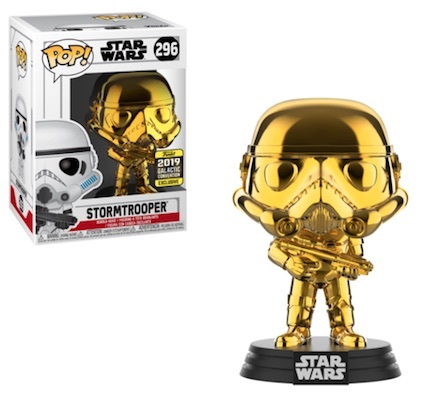 In addition to the Funko Pop Star Wars Celebration 2019 figures, collectors can get cast autographs, hear lectures and participate in many events. The official website for SWCC has all the specific details. There is also an SWCC lottery to win the ability to purchase exclusives at the event. Direct retailer links added when known. Shop for specific figures or check current prices on eBay using the links below. Print runs (PR) noted when known. 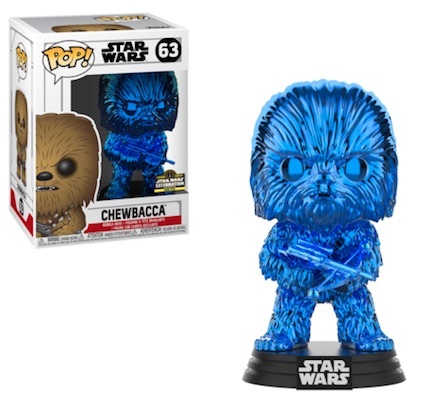 Chewbacca Funko Blue Chrome Star Wars Celebration Exclusive. 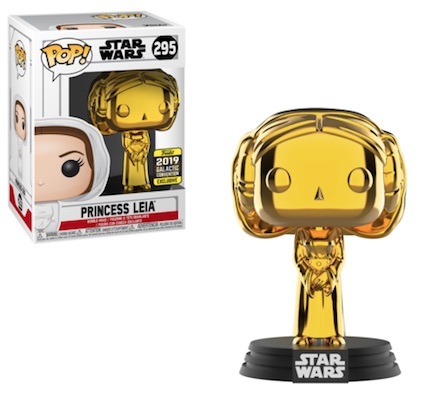 Princess Leia Funko POP. Blue Chrome Star Wars Celebration Exclusive. 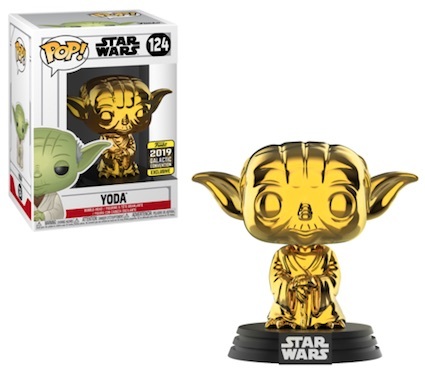 My local game stop received there Gold Yoda pops this Monday. They have a release date of friday 04/12.